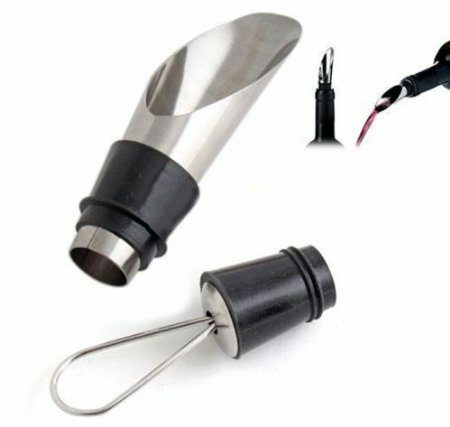 Reusable Wine Pourer and Stopper Only $1.49 + FREE Shipping! You are here: Home / Great Deals / Amazon Deals / Reusable Wine Pourer and Stopper Only $1.49 + FREE Shipping! Head over to Amazon and get the Reusable Wine Pourer and Stopper for only $1.49! And, shipping is FREE! These are great to add to a bottle of wine as a housewarming gift or throw in a stocking for your mom or dad at Christmas.